Inna li-Allahe wa inna ilayhi raji’un. Shk Mohammed bhai Raja passed away in Leicester, UK, on 18 Rajab 1437 (24 April 2016). Syedna Taher Saifuddin (RA) had bestowed mafsuhiyyat to Mohammed bhai and made him the first Wali Mulla of UK. Syedna Mohammed Burhanuddin (RA) bestowed him the sharaf of ziafat and haddiyyat, and at that time, he put his holy hand on Mohammed bhai and said “tame Dawat ni ghani khidmat karso.” After wafaat of Syedna Burhanuddin, Syedna Khuzaima Qutbuddin (RA) appointed him Wali Mulla of UK, and he remained in this khidmat until his passing away. 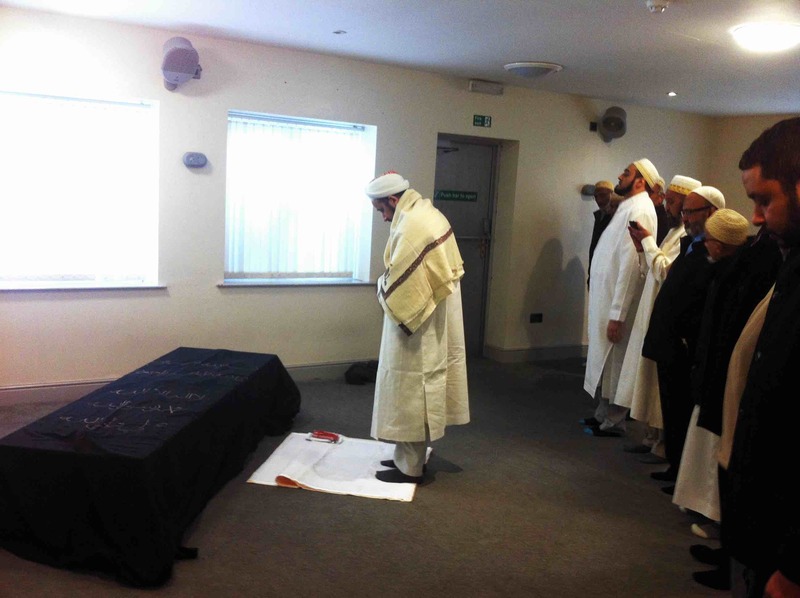 Shehzada Dr Husain bhaisaheb travelled to the UK and lead janaza namaz at Masjid al-Husayn complex, Leicester, and tawalli of burial in the qabrastan in Leicester where Mumineen are buried. The Fatemi Dawat Janaza Committee of UK along with help from other Mumineen ensured that the janaza ghusl kafan and dafan was performed with dignity and correctly per the rites of our Fatemi mazhab. May Allah ta’ala grant Shk Mohammed bhai rehmat and Jannat, and shafaat of our Mawali Tahereen and Doat Mutlaqeen, and grant sabar to his family members. A few days after Shk Mohammed bhai’s passing away, his wife Tasneem bai saw him in a dream. Mohammed bhai told her that “Tame fikar na karo, mein Qutbuddin Mola ni hazrat ma pohnchi gayo chhu, ane mein ghano khush chhu”. Wal Hamdo li-Allahe Rabbil Aalameen.